Patented in 1933, the Moka pot provided a democratizing shift for the enjoyment of espresso. Up until that time espresso was either enjoyed at a cafe, primarily by men go to and from work, and the wealthy who could afford a proper espresso machine. The Bialetti design came with an affordable price tag, bringing espresso-like coffee experience to the homes of the common man. Its popularity exploded after World War II, especially in Italy, where 90% of homes have a Moka pot in their cupboard. Today, we're taking this iconic, democratizing Italian coffeemaker and breaking down how to use to make good coffee. 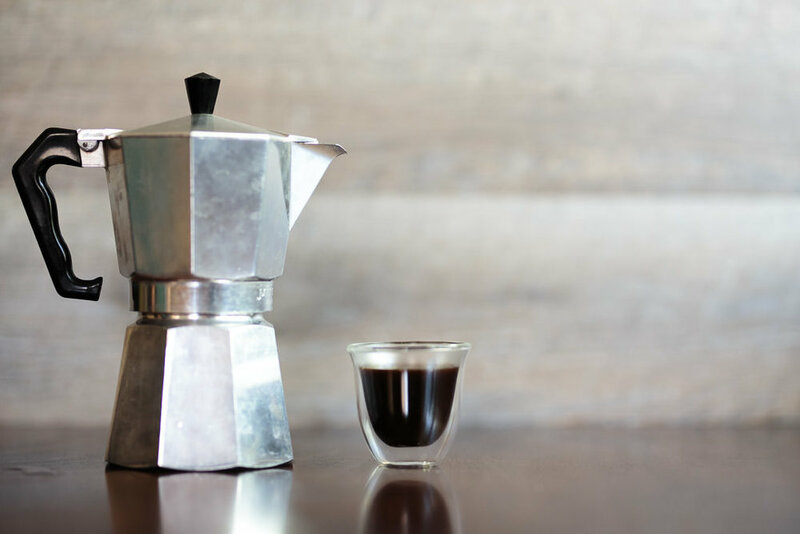 Thanks to the light crema that sometimes appears and its velvety, full-bodied coffee, the Moka pot often garners the tag of an espresso maker, like in the title for this post. While the flavor palate closely resembles that of espresso, technically the coffee from a Moka pot doesn't qualify. Technically, espresso requires a brew pressure of atleast 9 bars, the Moka pot maxes out at 1.5 bars. Technicalities aside, when brewed correctly, the Moka pot provides users with an espresso-like experience superior to some home espresso makers. Depending on who you ask, the Moka pot has a mixed reputation. Thanks to it's quirky and specific brew technique, it can easily over-extract coffee and produce an exceedingly bitter cup. So you need to keep a couple things in mind before jumping into to make espresso-like coffee for yourself from home. First, don't be greedy with the volume. Resist the temptation to squeeze draw out every last drop of coffee. By the time the coffee finishes flowing into the upper chamber, over-extraction has likely already occurred. The trick to pulling good coffee out of a Moka pot is all in the timing and knowing when to halt the extraction process. Second, observation plays a key role in dialing in the brew process, so I highly recommend taking notes. The Moka pot's self-contained system makes it an affordable easy design, but creates some difficulties in achieving specificity. As the water in the bottom chamber begins to boil, pressure builds and forces almost boiling water up through the grounds and finally into the upper chamber. This process makes it impossible to measure the exact amount of water coming into contact with the grounds and the final yield as it brews. So take notes to dial this method in to your specific Moka pot. The Moka pot clearly earns its place in the cupboard of iconic coffeemakers. The resulting coffee typically possesses a full-body with a velvety texture and richer flavor notes than you would find from an Aeropress or V60. 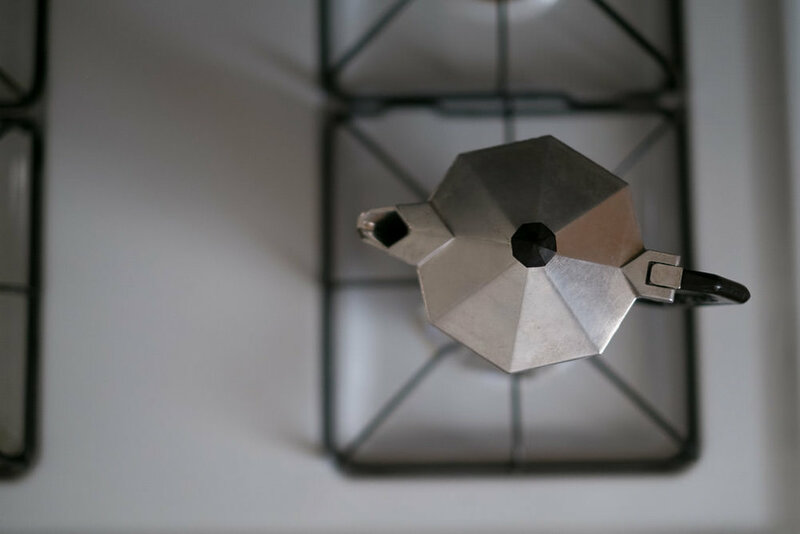 For years, many Italians have used this little apparatus to produce espresso like coffee from home, and with some preparation and attention to detail, you can too. As always, if you have any questions, comments, or ideas for future posts feel free to drop them in the comments below, reach out over email, or connect on social media! Shop the post. Support the blog.